The Chatham Anglers (21-18-3) will look to hold the slumping Orleans Firebirds (13-28-1) from forcing their way into the playoffs when the two sides meet at Veterans Field at 7 p.m. on Wednesday. The A’s have won or tied four of their last five while nailing down the two-seed in the playoffs. This stretch includes Chatham’s sixth victory of the season over the Harwich Mariners, its soon-to-be playoff opponent. The Anglers have more strikeouts (28) than hits (21) along with just seven total runs in four games against Orleans this season. John Rave (Illinois State) is the only Chatham player to record above a .275 batting average against the Firebirds on the summer. The Illinois native is hitting .417 with five hits, a home run and two runs scored. The Firebirds have won just one of their last 10 games as they battle with the Brewster Whitecaps for the fourth and final spot in the playoffs. Orleans currently sits a half-game out of the four-seed. In their last 10 games, the Firebirds have used 13 different pitchers. Each hurler has allowed at least three hits and a run while the staff as a whole has conceded 60 runs and 38 walks in that span. Orleans’ offense has not dropped off as much as its pitching. Three hitters — JJ Bleday (Vanderbilt), Spencer Steer (Oregon) and Logan Wyatt (Louisville) — have tallied at least nine hits and five RBI in the last 10 contests. As a whole, the Firebirds offense has scored above five runs twice in its past 13 games. Bleday and Home Run Hitting Contest champion Carter Aldrete (Arizona State) have fared well against the Anglers this season. The duo has combined for 10 hits, four doubles and three home runs against Chatham. 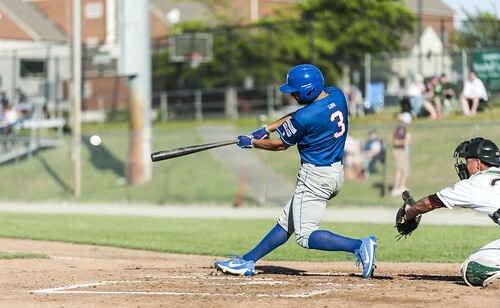 After dropping its first three matchups of the season to the Firebirds, Chatham defeated its East Division rival in their most recent contest on July 13. The recently-released Dan Hammer (Pittsburgh) tossed a gem, allowing three hits and no runs in six innings. Jack Conlon (San Jacinto) closed out the final three innings by holding Orleans hitless. Blake Sabol (Southern California) provided the pop on offense to put the A’s on top. The utility man smacked a solo homer in the top of the second to give Chatham a lead they would never relinquish. Sabol later drove in Colin Simpson (Oklahoma State) with a sacrifice fly en route to a 4-0 win.